Danny Thomas was born on February 11, 1952, in Flandreau, South Dakota. He took piano lessons as a child and developed into an outstanding trumpet and flugelhorn player for the Flandreau Flier High School Band. Danny started a band called The Thirteenth Hour with several high school friends. They often practiced at his dad’s funeral home and played at local dances. In 1969, Danny joined Roche Roshiem, Jim Birnbaum, Don Waxdahl, and Karla Logeson Krick plus five members of Gemini 6 to form Nickel Bag of Soul. They performed into the early ‘70s, and evolved into Priceless in 1972. Members of Priceless included Danny (trumpet), Jim Birnbaum (bass), Bob Maag (keyboards), Rich Seymore (guitar), John Loken (sax), Rick Herr (trombone), and Scott Klaverkamp (drums). 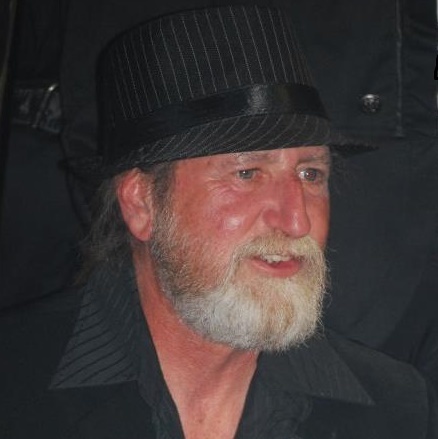 Rod Jerke joined as the band began touring the country. Locally, they appeared at the Pomp Room and the Fireside Lounge in the Western Mall. Many of those gigs lasted for weeks at a time. Danny joined The Rising Suns for a short time 1974. He played by ear and could play keyboard and trumpet simultaneously. He gave his family, friends, and bandmates many pleasurable moments in the music business. Later in his life, Danny played with the Flandreau city and alumni bands with his brother, sister, son, and daughter. Other musicians Danny had the pleasure of performing with include Norton Lawellin, Larry Holloway, Brian Brosz, Brian Wheeler, Mike Holm, Terry Beckey, Dewey Hunt, Butch Zierath, Roger, Whitmore, Jan Arden Peterson, Jim Hoss, Bill Jenkins, Mike English, Tim Gasper, and others. Danny left the world too soon – October 13, 2014. So many wonderful musicians have passed through the years that will forever be in our memory. They helped pave the way we enjoy today. The Thomas family is grateful that Danny is being honored with the Spirit of the Music Award.